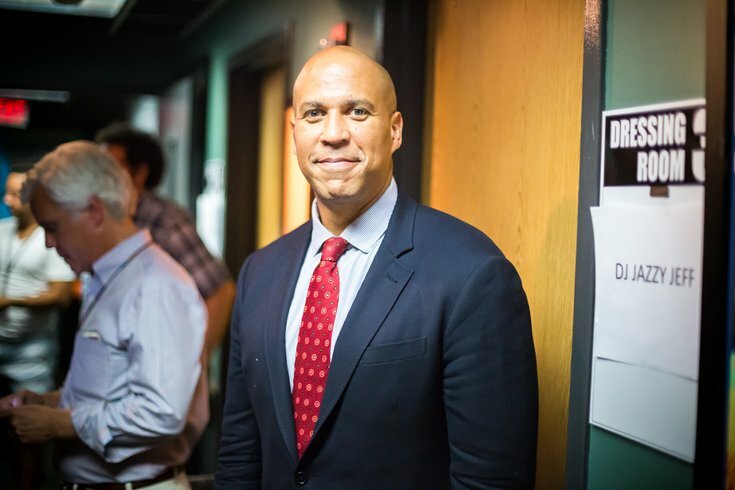 Senator Cory Booker (D, N.J.) backstage at the Camden Rising Concert, July 28, 2016, at the BB&T Pavilion. Cory Booker and his family received death threats Saturday, CBS New York reported, prompting Newark police to up security measures for the New Jersey senator. Though the exact threat has not yet been made public, Newark Mayor Ras Baraka said local police were guarding Booker’s home in Newark Saturday. “The Newark Police Divison has been notified by the United States Capitol Police (USCP) regarding a threat on the life of New Jersey Senator Cory Booker and his family members,” Baraka said in a statement, as reported by ABC News. “The USCP provides protection to Members of Congress and we are closely coordinating with the agency to ensure Senator Booker is able to carry out his duties of serving New Jersey’s residents in Congress in a safe manner,” Baraka concluded. In a campaign appearance in Alabama last week to support Doug Jones, now Alabama senator-elect, Booker called for the resignation of President Donald Trump in light of sexual misconduct allegations not unlike those that caused the resignation of Senator Al Franken.